An article in The Guardian online told readers to expect a rise in the price of UK imports such as petrol, a higher cost of food and drink at popular holiday destinations in the mediterranean area, and an increase in the cost of living abroad. In March, it was revealed that those transferring a monthly income or money from house sales abroad were worse off, in light of the news that one pound could only buy 1.15 euros compared to 1.20 euros from the year before. 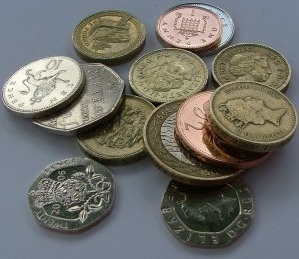 Flip the coin to the other side, however, and the decreased value of the pound was, and still is, good news for expats looking to move to the UK. In addition, Stephen Hughes, director of Currencies.co.uk, stated that people who leave UK as a couple, renting their flat in London in the meantime for example, who then repatriate will be ‘remunerated in the local currency’. Nonetheless, he stressed that the declining trend was likely to continue into the later stages of 2013 with ‘few signs of a sustained period of recovery’. In May, Lloyds TSB came out with research conducted earlier in 2013 which indicated that the decline of the pound was forcing UK expats to transfer money from sterling to their new local currency. 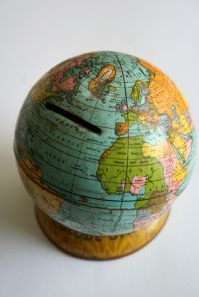 The bank revealed that the percentage of UK expats with savings in sterling dropped from 26% to 13% between September 2011 and May 2013, and that 73% of expats have savings in the currency of their new country, mostly in Australia, New Zealand and South Africa, but also in euro countries. Finally, at the end of June, The Independent reported a shrink in state pensions for British expats against local currencies. HiFX, the currency exchange firm, estimated that £10.6 billion had been lost in state pension income over 6 years. The analysis of figures relating to a million expats in 13 countries concluded that UK expats in South Africa came out with the best result with no strong fall against the rand, while residents in Switzerland were in the worst position with the Swiss franc strengthening. According to the study, the top 13 countries in which over one million British expats receive state pensions are Canada, France, Ireland, Netherlands, Germany, Switzerland, Cyprus, Italy, Spain, Portugal, South Africa, Australia, New Zealand. The article affirmed that due to currency fluctuations, British expats living in the Eurozone have seen their average monthly pension drop €145 since 2007, and the UK government is consequently under pressure to terminate a 30-year-old policy which prevents UK pensioners living in countries such as New Zealand and Australia from receiving rises in their annual state pension. Mark Bodega of HiFX associated the revelation with the impact of the continued economic downturn on the sterling. So, what can British expats do to manage currency fluctuations? HiFX insisted that the sterling would remain volatile and advises expats to fix a currency rate if the fall of the pension rate has hit them too hard.